WASHINGTON - Black female lawmakers are urging Defense Secretary Chuck Hagel to reconsider revised Army regulations that ban hairstyles frequently worn by minority women in the military. Sixteen female members of the Congressional Black Caucus signed a letter Thursday to Hagel, stating that the changes are "discriminatory rules targeting soldiers who are women of color." They say that references in the rule calling hairstyles worn mostly by black women "unkempt" and "matted" are offensive and show a lack of "cultural sensitivity." The lawmakers are encouraging Hagel to reconsider the regulation. 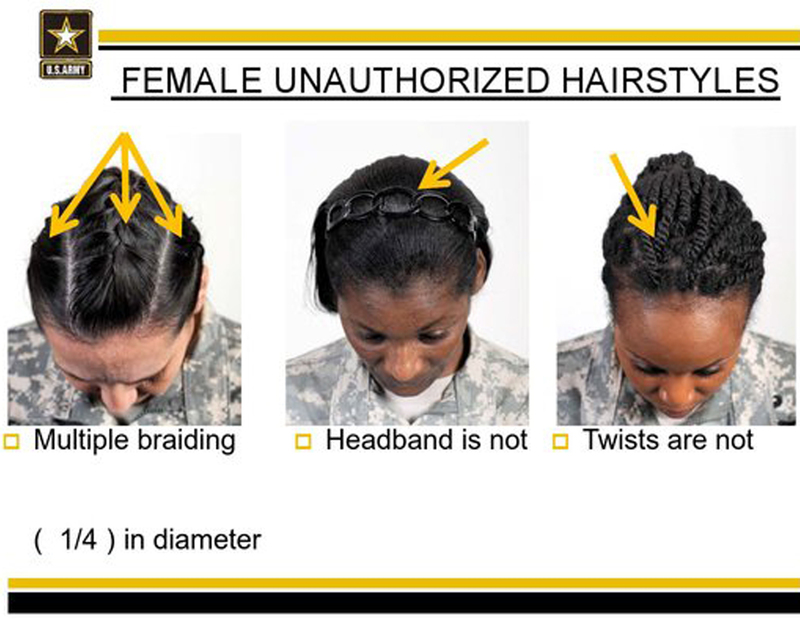 The Army regulation issued earlier this month bans most twists, dreadlocks and large cornrows- styles predominantly worn by African-American women with natural hairstyles. Though it's meant to help make soldiers' appearances consistent, black military women have criticized the update as racially biased.